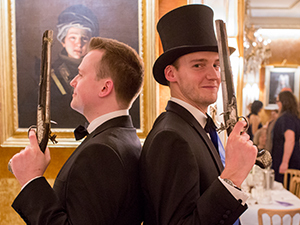 David Buckley (OK1980), Honorary Secretary, hosted autumn drinks for around 100 OKs at the Naval Club in Mayfair. 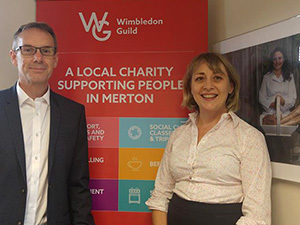 The Wimbledon Guild, the local charity that provides people in Merton with help and support in times of need, has linked up with King’s College School Lodge Number 4257. The Triangular Match between OKC, Kingston Grammar School OB’s and Raynes Park OB’s was played at Surrey Downs GC on 24th April. 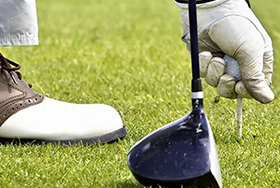 The course is relatively new and was the venue for last year’s match, receiving good reports from the players. The weather was excellent for golf but we were outplayed by the KGS team. For the 18-hole stableford match we scored myself 36, Graham Morris 34, Lance Condon 30 and Micky King and Andrew Copeman both 29 – total 158. 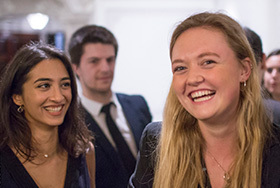 The winners were the KGS team with 38, 36, 34, 33 and 30 – total 171. 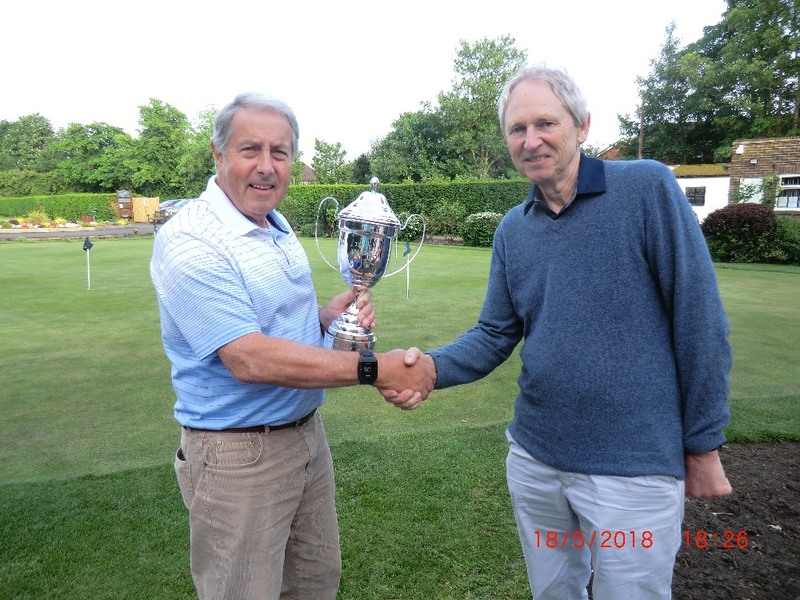 The star on the day was Brian Vennard of the Raynes Park OB team with a magnificent 42 points and he walked away with the Martin Fielding cup. Oddly enough he happened to have with him his handicap certificate – I wonder why? 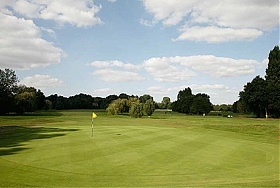 The Spring Meeting was at Malden GC on 24th May with 15 OB’s teeing off. I played with Michael Choong whose handicap is 3. Playing with someone of this level of skill is a new experience for me and it was rather humbling, since I have played quite well recently with mid 30 scores on several occasions off my 18 handicap. Michael’s saw every stroke of less then 200 yds as a possibility to get close to the pin for a birdie. This he achieved four times in the first nine holes but he also got three bogeys thus scoring one under par for his round with 70. Naturally he won the Blades Cup. The stableford Bill Cox Cup was a very closely fought matter. M. C. got 40 points but was not eligible, since he had already won a cup. The scores were very close with Peter Messent 36, Neil Price and Lance Condon both on 35, Graham Morris and Peter Taylor both on 34 and John Oliver on 33. Next came Chris Diacon on 32 and Fred Grover and David Cross were both on 31. The Blades Cup was initiated by George Rowland Blades (1868-1953), who lived in Sydenham, Kent and was a pupil at KCS (in the Strand at that time) leaving in 1886 to join his family printing business, rising to become its chairman. In 1913 he was elected to the Corporation of London, he served as Sheriff of London from 1917-1918 and was Knighted during his term of office. In 1918 he was elected to Parliament for Epsom until 1928, he was created Baronet of Ebbisham, which is the old name of Epsom, in 1922. He was Lord Mayor of London from 1926 to 1927 and was appointed Knight Grand Cross of the Order of the British Empire (GBE) in 1927. The Blades Cup is actually ‘The Old Kings Golf Society Challenge Cup Presented by G R Blades Esq. 1910’ and has a Birmingham hallmark made in in 1910. He won the cup in 1911. George R. Blades was a founder member of the KCS Lodge in 1921 and presented the Lodge with a Bible dated 1622. The first “King James” Bible was published in 1611. The first Bible in modern English was published in the reign of Henry VIII (1509-1547).